You’ve just finished writing your blog post or the sales copy for your new product or promotion. You have the keywords sorted and you have written in a natural way. 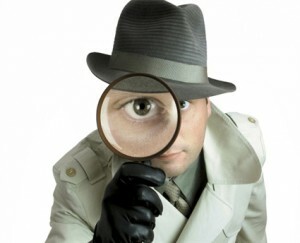 You have used a Keyword tool so you know you will get traffic to your content. But still, how to write great website content? Wouldn’t it be great if there was a way to test your copy BEFORE you actually send prospects to it? What if 1,000 people read your sales page or blog and NOBODY takes action and buys, you’ve just wasted all that traffic. Even if it was free traffic, you’ve still burned your chance to promote your product. Odds are even if you do rewrite the copy, they’re not going to come back a second time and read it again. If only there was a way to know ahead of time whether your copy is good or not. What if there was a way to learn how to write great website content or how to write great blog posts without having to use trial and error…wait, there is! Here’s how to write great content and articles that will get read. Here’s how to write marketing copy, that sells. This is what to do after you have written it and before you post it, turn off the phone, switch off the Internet and refuse to be distracted for the next hour or so. Now, imagine you are the prospect. You are thinking like the prospect, feeling like the prospect, experiencing the same issues, same problems, same questions as you prospect, etc. Put yourself in their shoes and re-read your copy from start to finish. Do not spend time making corrections (you can do that later), just simply read as though you are a prospect considering, buying this product, using the service or following the advice. Now rate how well your copy accomplishes the following, assigning a number 1 – 5 to each element. Ok, let’s add up you score and see how well you did. 21- 50: STOP right there. 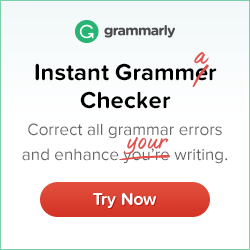 Do NOT use your copy until you make significant changes. 51 – 65: Not so good, but at least, you made a start. Now go back and make the adjustments it needs. 66 – 80: Not bad and OK for a draft, but not good enough to use unless you just don’t have the time to fix it, OR your offer is so compelling that it doesn’t need a strong letter. 81 – 95: Looking good. A little tweaking here and there can still improve your conversions. 96 – 105: Congratulations! Maybe you should be writing copy for a living! 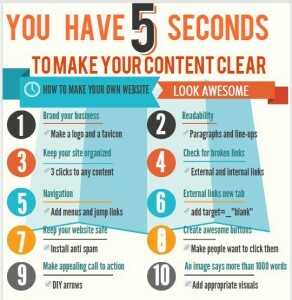 This is how to write great content for your website. 1.The Short Cut,… If you want a short cut to writing great content. Take a look at my offer of 100 done-for-you sales letters covering the most popular niches. 2. Learn more about how to write great website content, building awesome websites and internet marketing the right way by getting started with Wealthy Affiliate. 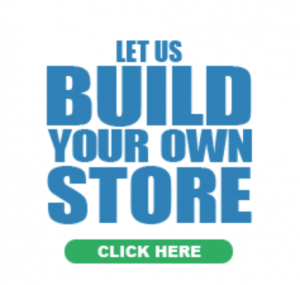 You can find more information about getting started and learn how to work online and earn money and become a part of the community at Wealthy Affiliate. “What sets this program apart is it is a complete training program build and run by affiliate marketers for affiliate marketers who wanted to shortcut the learning process and provide solid, honest advice”. The information is always up to date. For example, article marketing through article directories is no longer an effective SEO strategy, neither is duplicate content on your website site or stuffing keywords into your content, aimed at the search engines. In fact, if you ever want to check content for duplication you can use a free online tool Copyscape to see how much duplicate content your article contains and you can make the adjustments as necessary. 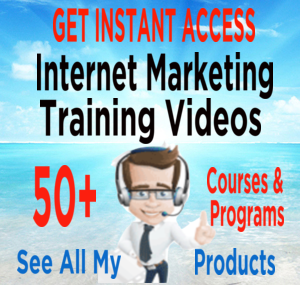 This is just some of the awesome information you will learn with Wealthy Affiliate. Best of all – it’s FREE to join. So if you want to learn how to build an online business, a business that will allow you to work from anywhere in the world and one that will make it possible for you to earn money in your PJ’s then take the wheel and get started NOW! Take the wheel and take Wealthy Affiliate for a test drive, it costs you nothing to see if it’s for you. Writing powerful copy is an art, a skill, that can make the difference between success and failure in almost any business. 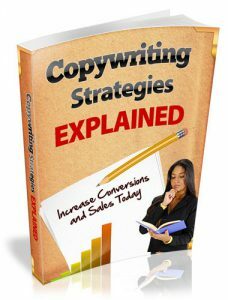 I do have a valuable eBook “Copywriting Strategies Explained“. Inside I show you how you can prepare copy that will re-energize your own business. This includes revealing all of my copywriting strategies so that you can also reap the benefits of this priceless skill, using that knowledge to generate increased sales of your products and/or services. You can take a closer at the book here to find out how to write great website content. There are also pages and posts you can visit packed with tips, advice and recommendations to useful tools and resources to shortcut your learning curve. Hi Peter, I know it is true about writing great contents that will capture visitors to your website. 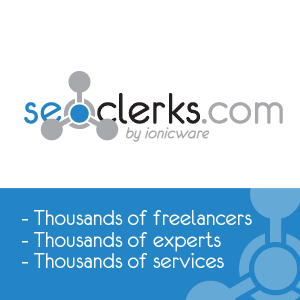 On the other end everyone is competing to have the best contents out there for their website, offering their service. We need to just work hard and learn every way as possible to be good content writers. When I joined WA I never thought that I would stay this long because of content writing was a stumbling block to me.. Even a couple of times I gave up for months but I told myself that the only way to learn is to learn myself and apply the knowledge that is given to me otherwise it would just be another failure. I am still learning and I don’t want to give up. Thank you for your inspiration. Thank you for this useful post, I will use this rating method for all my future posts, but I will use it as an inspiration for new content to start the writing; instead of evaluate what is already written content. I will use these twenty questions as an interview template, between me and my targeted prospect, and then write my post from the twenty answers. What do you think Peter? Great article. I have to agree that creating content is easy, but creating great content requires time and effort and tips you have shared with us are really great. I think the tip regarding thinking like a prospect plays a huge role in creating content. I always follow this tip when writing content. Other tips are great too and I follow most of them. BTW, I find that most readers scan my content and it’s really hard to keep readers on the site. Do you feel you can reduce your bounce after applying these tips? I like the scoring system you propose, and will start using is when I write future posts. You raise a valid point in that just because you write with a smart use of keywords, doesn’t necessarily it’s good quality or interesting content to read. As you say, if the content isn’t interesting, you’ve lost that reader and won’t have another chance to win them over. A most interesting and vey well presented tool to evaluate the worth of a post or page. I am intrigued to know whether the questions and ranking levels you present are your own work or come from another source. Like a survey or questionaire developed as part of a study somewhere. Irrespective of the source you have provided a specific means of determing the value of our content before we let it loose on the internet. 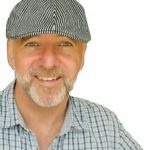 Great article – lots of tips you’ve touched upon that I was unaware of with my writing.I often find that the key to me writing good stuff is my overall feeling at the time – am I relaxed with the subject or not? What do you think? Do you think the overall quality will be effected by how much you enjoy a topic? Great article, I’ve bookmarked this page for the scoring module you’ve got here and I’m surely going to use it for the next article I write. Like you said if a 1000 people read your article and it’s not good, they are not going to come back and read it again after you altered it. It’s indeed a waste of traffic if your article doesn’t reach the intended goal. I wonder, do you go through this process with every article you write? And if you do so, am I right to assume that it takes time, but after a while will turn in to an automatic process you don’t even notice anymore? Thanks for this great piece of information! Hey Peter, I really enjoyed the website. It is filled with valuable, helpful information and I thank you for that. I bookmarked the website and will visit often especially ‘How to write great website content’. It is so tempting to publish an article once you are “finished” and just get it out the way. Patience is a virtue and can pay off. Thanks again, and I hope your able to acquire your dream job. Love this ‘self-check’ concept! I think it would be super useful if you added in waiting overnight or taking a break between writing the content and doing the scoring on it, so you could truly see it with fresh eyes. Would you suggest editing some of the questions for things like blog posts that aren’t specifically selling a product, or just skipping the questions that relate to pricing/sales? You did it again! You are the man! really. This article has really helped me a lot for how to write good quality content, it also made me think about the viewer instead of only my point of view. The questions that you have to ask yourself are also very powerfull and helps to increase the thought process of writing an article. I have enjoyed your blogs. I read “How to Write Great Website Content”, and I especially like your list of 21 under “Here We Go”. I will be using that checklist to write and check my blogs before publishing. What a great opportunity with have to learn here in Wealthy Affiliate. Very helpful and beneficial information. I love your rating system. Great article Peter. I always have problems when writing content. Now I can use this information and rank my work before publishing. Thanks for the information. That’s an interesting idea having a score’s based system. However isn’t writing copy and content two different things? Content for a website can have humor, personality but Copy is generally from a third person view point. Thank you for the great tip. I never thought of using a checklist to ensure my content is publishable. I will be trying it out when I write my next post. Content has not been my strong suite and I hope it would help! Great article. As a new blogger I am constantly looking for ways to improve my writing and find my voice. I like the idea of your scoring system. While I enjoy writing headlines my biggest struggle is keeping them to acceptable lengths for the search engines. Thanks for sharing this info. You did a fabulous job and I just book marked this page. There are so many useful tip’s here for writing content I am sure to return multiple times before I feel I have mastered them all. I tend to always struggle at some point or another within content creation and this guide will help give me a guide and some reference in order to get a good flow going if I ever become stuck again. A+ job man! Thank you for building this page. Writing content is a real challenge to me. This is explained in a way that makes sense. I bookmarked this page. Good Fortune.